Cats are curious creatures. They sleep for an average of 15 hours a day. Older cats can even sleep for up to 20 hours a day! This makes you wonder: why do cats sleep so much? Cats are crepuscular animals. This means that they are most active at dusk and dawn. So don’t be surprised if your cat makes a racket at night! Even though cats were domesticated thousands of years ago, they kept their predatory instincts. This means that they are still hardwired to chase, pounce, stalk, and jump. Like big cats, small cats like to hunt in the dark, because larger predators that could pose a threat to cats, tend to be less active at night. Since hunting prey takes up a huge amount of energy, cats need a lot of sleep during the day to rest up for their next adventure. Cats experience 2 types of sleep. Either they snooze in a light sleep, or they sleep very deeply. About 75% of the time your cat spends “asleep”, it’s actually dozing. Your cat will pretty much be having a nap, though it will be awake enough to spring into action at a moment’s notice. This is the type of sleep where you might see your cat’s ears twitch or rotate towards noise. Cats can even slip into dozing mode while sitting upright! The other 25% of the time your cat spends asleep, it will be in deep sleep. This type of sleep is vital for the cat’s body to regenerate itself, which helps your feline to stay healthy. Deep sleep is also the type of sleep during which your cat dreams. When you see your cat’s whiskers or paws twitch, there’s a good chance that he or she is dreaming. Have you ever noticed that you will rarely find your cat asleep on the floor? 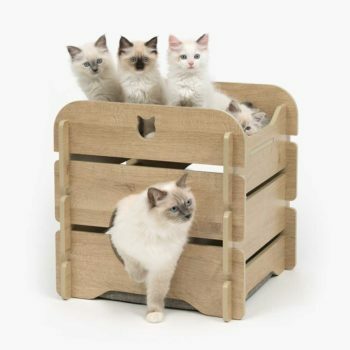 Cats prefer to sleep on higher surfaces, not only to prevent themselves from getting cold, but also to stay out of reach of predators and to keep an overview of their surroundings. To give your cat this sense of security, we designed the Vesper Cottage. 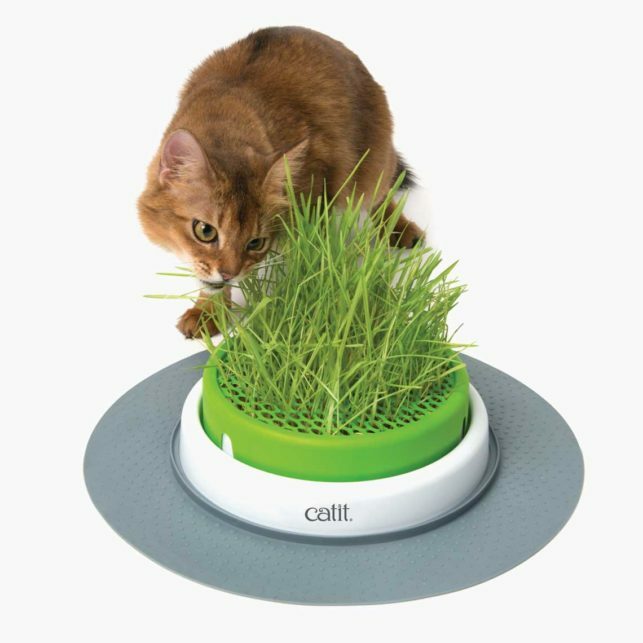 It allows your cat to lounge on the top to observe its kingdom, or to hide in the enclosed space below. The bottom compartment has 2 entrances so your cat will feel safe, but never cornered. In addition, you surely will have noticed that cats tend to nap in the weirdest positions: curled up in a ball, stretched out as far as they can, or even lying on their back! The Vesper Cabana is perfect for such naps. 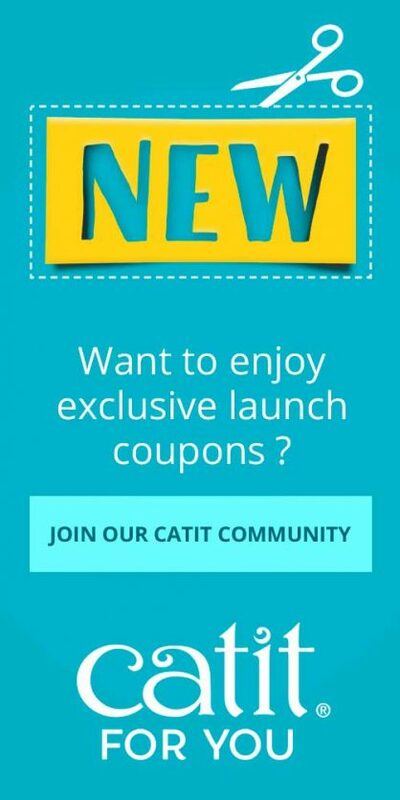 It has a super comfy hammock that allows your cat to fully relax. Just ask our office cat Pixi! 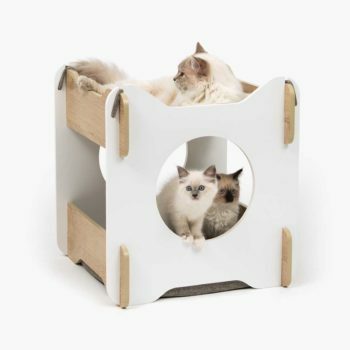 Taller cat loungers like the Vesper Condo are perfect for kitties that love to be up high. 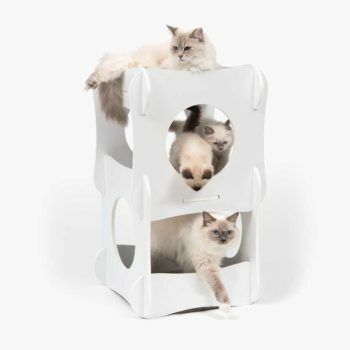 It has 3 different levels, so your cat can sleep at the height he prefers.